Interviews vary and can range from an informal chat on the telephone right through to a three or four stage interview process with group assessments and various online or in interview tests. The key is to know what you are likely to be walking into so that you can get prepared. Regardless of the format, most interviews will require a similar level of thought and preparation. Do as much as you can. There is so much information available online these days that you can spend hours researching the company and even individuals that you will be meeting. Look at how many properties the organisation manages, read about core values and the future aspirations and goals. Housing associations and councils in particular typically have an awful lot of useful information on their sites. Have a look on LinkedIn to see who you may know that works there and see if you can get in touch to find out what it’s like. Ask around people you know, more often than not you’ll find someone that has worked at the company in the past or knows someone you are meeting. Ask us, we have normally met with the clients we recruit for and have been to their offices so will be able to give you a bit of an insight. We often forget to do the basics with everything being a click away on the phone or laptop but its best to prep long before the interview. Treat interview prep in the same way as when preparing for an exam at School - ‘The pencil case’… Pen, spare pen, pencil, spare pencil, sharpener, ruler etc. Take a pad to make notes on, take a couple of pens to write with, take water in case they do not think to offer any, take tissues – be prepared! Plan your journey in advance, being late is never a good first impression and it adds stress to a situation you may already not be looking forward to. Any agency will tell you the number of times they have received panicked calls from people attending an interview where the train has broken down, they got off at the wrong stop or just can’t find the address they are looking for. There will always be things out of our control but in most instances issues can more often than not be avoided by checking exactly where you are going, the best journey, a back up journey and planning to be there 45 minutes to an hour early. It’s a lovely feeling finding the place you need to be at and then grabbing a tea or coffee for half an hour whilst doing a final run through your notes. Obviously excluding the telephone, Skype and face to face interviews will require you to have a think about what to wear. The rule of thumb on this is to dress suitably for the role you are going for and then ‘Go up a notch’ – always better to be a little overdressed than under. Also have a think about the interviewer, they may not wear a suit and tie everyday but might do for the interview and so could be a little disappointed if you don’t show the same courtesy. If in doubt ask! We will have probably been to the office you are going to or know the interviewer well and so can give you our thoughts. It never hurts to give the shoes a quick shine up too! Interview formats will be vastly different depending on the type of role you are interviewing for, the organisations policies on interviewing and the experience and style of the interviewers. It’s key throughout the interview to listen to what is being said. Listen to the questions being asked so you can tailor your answers and don’t ask questions at the end that have already been covered (unless you are making reference to earlier discussions for clarity). Whilst on this, it is well worth having a couple of intelligent questions for the end just in case no others come to mind in the interview. Probably best not to ask if you can work from home on Friday’s or what the mileage allowance is, these are better left for when an offer is made or when you have joined the organisation. Questions around company training and your career path are very much worth exploring. 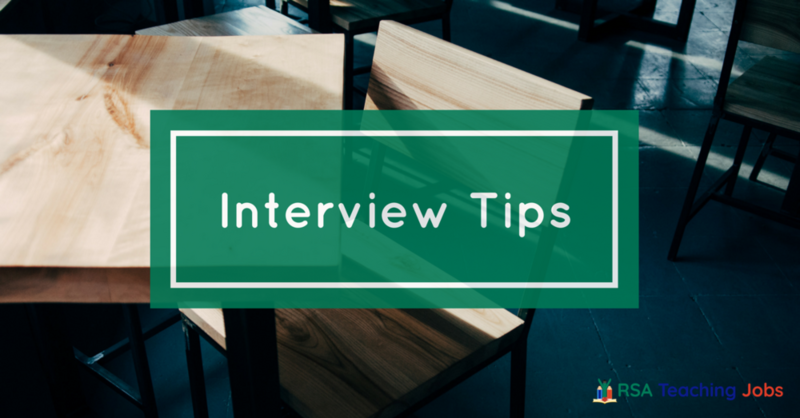 Feel free at the end to ask the interviewers their thoughts on you and whether there is an area that they would like more information from you on. It’s also good to ask what the next step is and when they are hoping to make a decision. There is a lot of advice online about interview questioning and what the interviewers are actually looking for in the answers. These will be different from company to company and indeed person to person. There are a couple that you could look into though, one is competency based questions where you are fundamentally being asked to give an example of how you handled something in your past so they can see how you might handle something in the future. Click below to see some common competency based questions. Another one that we like is called the STAR technique which is a way of structuring answers to questions. It is particularly useful for anyone who tends to ‘Waffle on’ a bit and perhaps loses sight of the original question. We’ve all been there at some point! It stands for Situation, Task, Action, Result and works like this. Q. Can you give me an example of when you have dealt with a complaint? A. Yes, last month I had a Situation where a complaint came in from a customer advising that a contractor had not arrived for an appointment. I apologised and said I would take ownership of the issue, look in to it and come back within an agreed time frame. The Task was to get the contractor in to the property as quickly as possible to prevent any more inconvenience to the customer and to stop the complaint escalating. The Action I took was to contact the contractor to establish why no-one arrived and to re-book the appointment for the following morning. I then telephoned the customer to advise what had happened and assured them that I would stay on top of the situation. I called the contractor in the morning to check they would be attending and informed the customer. I then called the customer again after the repair to ensure everything had gone well. The result was that the customer was very happy with the end result and accepted our apology for the inconvenience, withdrawing the complaint. Often these can be used as a time saver for both parties to do an initial exploration of whether the candidate is right for the job and the job is right for the candidate. Sometimes these can lead to a second stage face to face interview but it is not unknown for them to go so well that an offer is made either there and then or straight afterwards via ourselves. Like with any other interview the key to these is still to prepare. Agree a time for the call so that you know when it will take place and find somewhere quiet where there is a good phone signal and it is unlikely you will be disturbed for half an hour or so. Do your research on the role and the company so that you are prepared! Imagine if the interviewer asks what you know about the organisation, ‘Not much to be fair’ is not the strongest answer you could give. It’s just as important to have a couple of questions in the bank to ask as you go through the call.